Calls cost 7p per minute plus your operator’s access charge. This is a call forwarding service which will connect you directly to the DVLA helpline. You can also call the mobile friendly official number on 0300 790 6801. 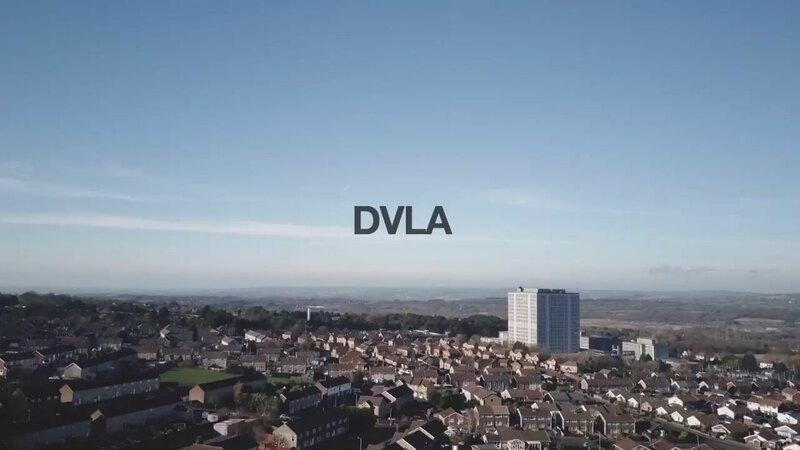 This website shows you the easiest and best ways to get in touch with the Driver and Vehicle Licensing Agency (DVLA) but is not affiliated with the DVLA in any way. The DVLA is the organisation responsible for the upkeep of a database of UK drivers and vehicles. It forms a part of the Department for transport and also manages Driving Licenses, Road Tax and private number registration plates. Note: The equivalent agency in Northern Ireland is the Driver and Vehicle Agency (DVA) and cannot be contacted using the details on this website. Whether you want to apply for your first driving licence, or check the details of a car before you purchase, you can contact the DVLA today by calling the number above. At Contact DVLA, our mission is to take the stress out of trying to get in touch with the Driver and Vehicle Licensing Agency in the UK. As with a lot of big companies that have multiple departments, finding the right advisor to speak with can be a challenge, leaving you hanging on the phone until you are navigated to the appropriate person. We provide a call forwarding service that makes telephoning the DVLA quicker and easier. We also supply a free number to call wherever possible. We are not associated with the DVLA, but we have done our homework when it comes to getting in touch with them. We commit to providing the most up-to-date contact information for the DVLA at all times, as well as other useful information about the DVLA’s latest guidelines and services, from car tax and licensing to penalty points and driving tests. The benefit of using the Contact DVLA service is that you no longer need to rummage around for the helpline you need to call – we find them for you. Our calls cost 7p per minute plus your standard operating charge. Get in touch with the DVLA using our professional third party service today. Getting in contact with the DVLA can sometimes feel like a bit of a minefield. Call up their customer service helpline and it can take a while to put you through to the right department, especially if your query is unusual in some way. There are all sorts of ways to get in touch with the DVLA, whether by phone, email or written letter. Here at Contact DVLA, our mission is to make it as easy as possible to get your driving query resolved. Using our call forwarding service, we make it easy to get straight through to the DVLA department you need. We also provide all of the relevant DVLA postal and email addresses for day-to-day queries, as well as specific addresses to use in the event of a complaint. Reach the DVLA today using Contact DVLA and take the hassle out of your enquiry. We have all of the helpline numbers you need to put you in touch with the right person, at the right time. Whether you need help with your vehicle tax, driving license, number plates or registration, you can call during their phone line opening hours for advice. It’s possible to contact the DVLA from the UK and abroad, but take note that different numbers will apply. Use our table below to find the best telephone number for your situation, from buying a car to paying pesky parking fines. If you wish to get in touch with the DVLA by post, then for most enquiries the Vehicle Customer Services address is the best place to send your query. Prior to all operations moving to a central office in Swansea, offices could be found throughout England in the following districts: Beverly, Birmingham, Bournemouth, Brighton, Bristol, Carlisle, Chelmsford, Chester, Exeter, Ipswich, Leeds, Lincoln, London, Maidstone, Manchester, Newcastle-Upon-Tyne, Northampton, Norwich, Nottingham, Oxford, Peterborough, Portsmouth, Preston, Sheffield, Shrewsbury, Sidcup, Stockton, Theale, Truro, Wimbledon and Worcester. DVLA also had offices in Scotland and Wales, including: Aberdeen, Dundee, Edinburgh, Glasgow, Inverness, Bangor and Cardiff. The DVLA has its own complaints procedure, which it is worth following to get your issue resolved quickly and properly. If you’re unhappy with some aspect of the service you’ve received, the best way to make a complaint is to contact the department you’ve been dealing with directly. Be ready to provide your full name and address, your date of birth, driver number, vehicle registration number and reference numbers from any documents you’ve received.